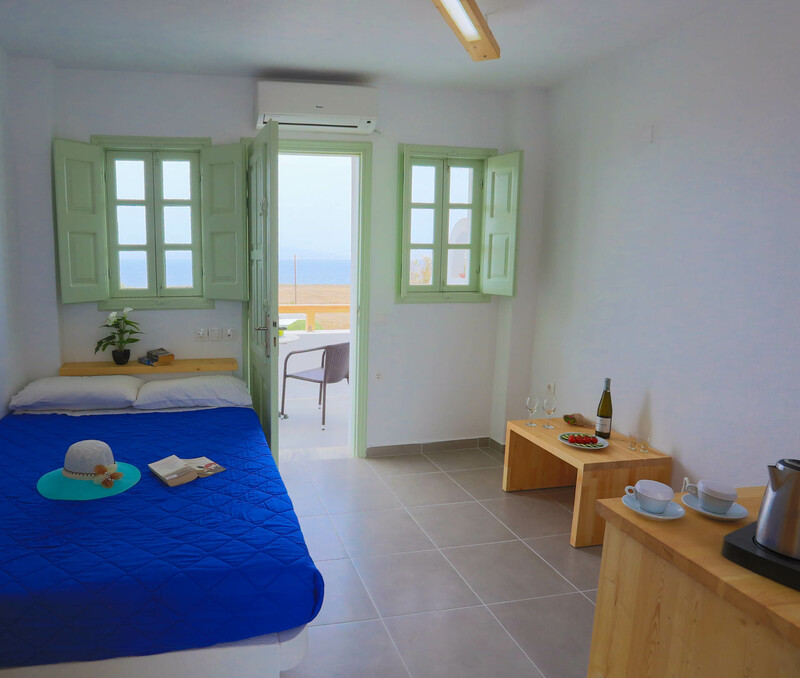 This studio is overlooking the sea and the famous Oia’s sunset. 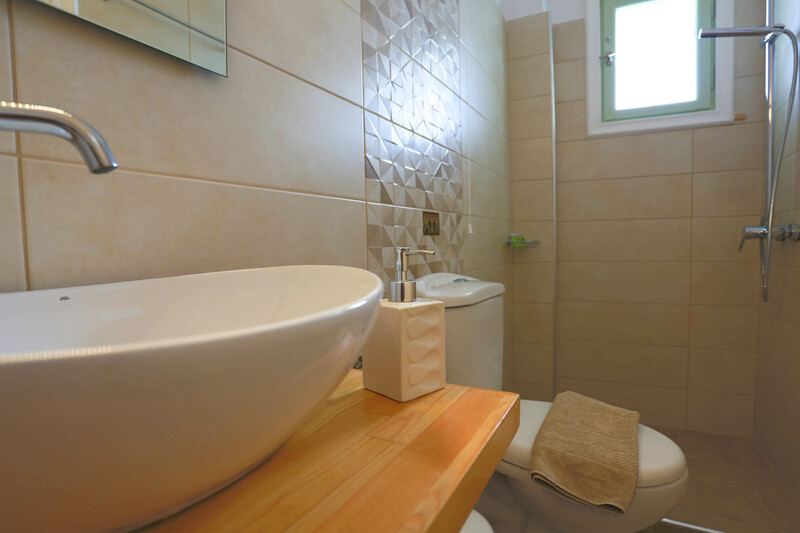 It has: 1 room with a double bed and a sofa bed, kitchenette, bathroom, large private balcony with outside furniture, sea & sunset view, typical Cycladic white washed walls and blue windows shutters. This studio is overlooking the sea and the famous Oia’s sunset. 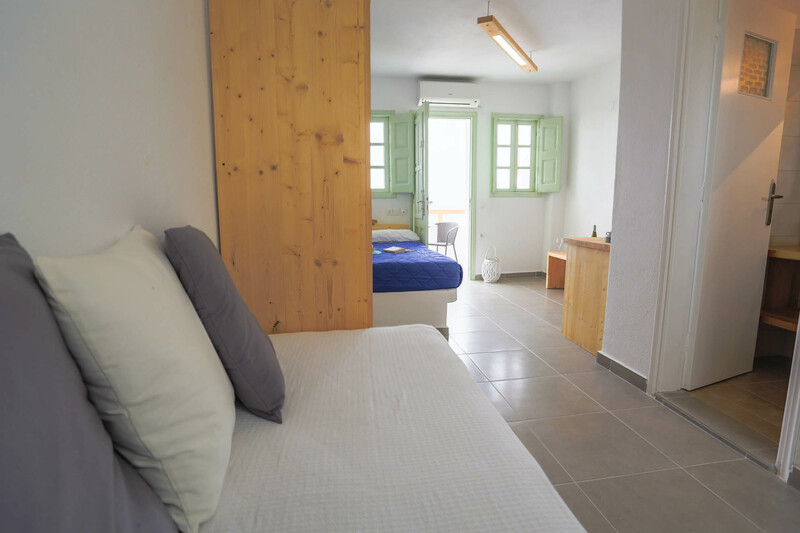 It’s a traditional maisonette on the upper floor with a double bed on mezzanine and two single beds on the main level, kitchenette, bathroom, large private balcony with outside furniture, sea & sunset view, typical Cycladic white washed walls and blue windows shutters.